Mark W. Sandretto is an attorney at Eastman & Smith, who assists lenders, credit unions, small and medium sized businesses, insurers and their insureds in litigated matters. He obtained his bachelor of science in business administration from Bowling Green State University in 2002 and juris doctorate from The Ohio State University College of Law in 2005. He is licensed to practice law in state and federal courts in both Ohio and Michigan. 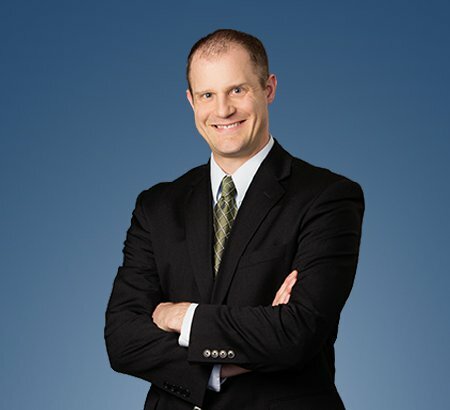 When not practicing law, Mr. Sandretto is an active father to two young children and enjoys golf, jogging and the vistas of Northern Michigan. Represented a commercial lender in both state court and federal bankruptcy court regarding a contested reorganization of a scrap and towing business. Assisted a lender in workouts of delinquent commercial debt, including preparation of forbearance agreements, filing and managing real estate foreclosures, seeking appointment of a receiver, and liquidation of collateral. Worked with credit unions negotiating reaffirmation agreements of secured debt. Represented several businesses regarding disputes over their customers’ failure to pay for goods delivered. Counseled numerous clients regarding defense of professional liability and personal injury claims. In addition to his law practice, Mr. Sandretto serves on the board of directors of Sunset Retirement Communities, Inc., a non-profit continuing care retirement community serving elders in Toledo and Northwest Ohio, most recently as vice-chair. He also serves on the Toledo Bar Association’s Bar Admissions Committee and is a member of the American Bankruptcy Institute. Mr. Sandretto is an Ohio Super Lawyers Rising Star (2016-2019). Did the Supreme Court Just Kill the Structured Dismissal in Chapter 11?